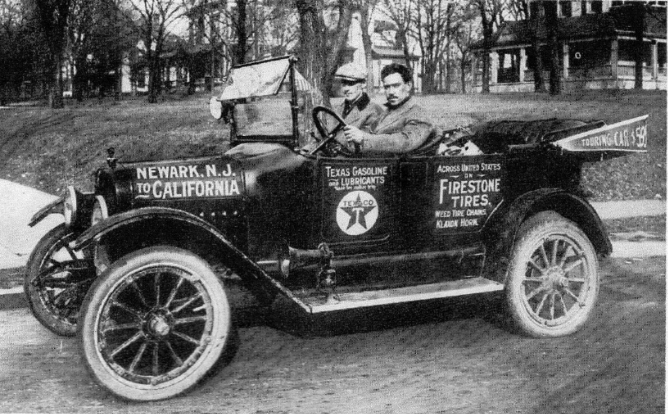 These two sold the idea to Texaco and Firestone and started the journey in November 1916. Here is C.W. 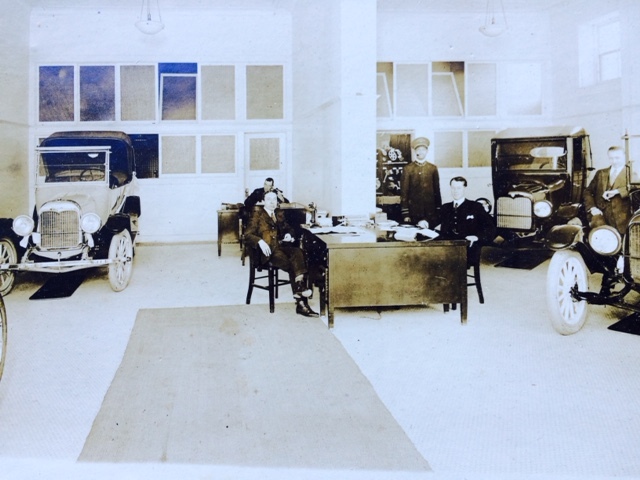 Tuthill sitting on the right side of the desk in the Maxwell showroom. Here is a picture of Clifford Wayne Tuthill, known as Wayne and a nickname “Tut”. As these two traveled across the United States before there was an interstate system of roads, CW Tuthill kept a written diary in a small notebook. He mentions towns they passed through, problems they had, and we have been able to add to this story with pictures and post cards and letters sent during the trip. To learn more about this trip from the diary of C.W. Tuthill follow this story. 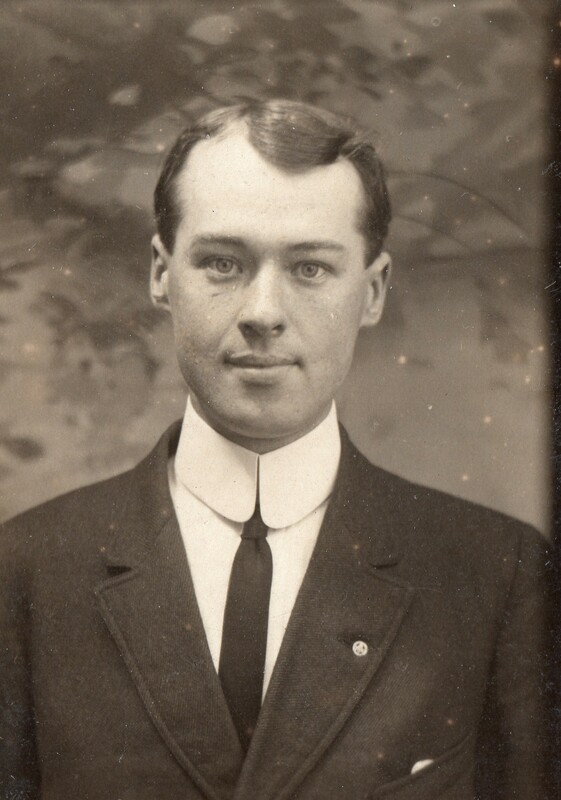 In November 2016, a hundred years later, Doug, a grandson of C.W. Tuthill plans to recreate this trip again in a 1917 Maxwell. To follow this adventure follow this diary.